My job title is ‘Senior Principal Product Manager’ at Oracle Corp, but for this portal, you can consider me a database productivity and tools advocate. My primary goal is to help you save time when working with Oracle Database. If I can ALSO make what you’re currently doing a little more fun, then that’s a big bonus for me. R&D, Support, PreSales, Product Marketing & Management… Yes. blogger, tweeter, YouTuber, author, StackOverflow, podcaster…I go where our users are to help them. 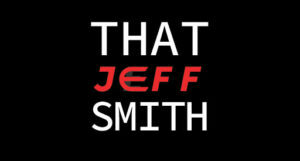 Yes, Jeff Smith is my real name. I’m ‘that‘ crazy database guy. I’m a proud father of two and husband to an awesome wife. A software and database geek by trade, I call the Raleigh/Durham metropolitan area home. I was born and raised in West Virginia, and I’m a reformed hillbilly. I have a dry sense of humor. If you can’t tell if I am joking or not, then assume I am joking. I have worked for independent software vendors since 1999. For the past 17 years I’ve been working on and around database software tools. It’s a pretty narrow specialization, but I dig it. I’m currently a Product Manager for Oracle, working on the SQL Developer team. My true passion lies in helping people maximize their productivity and retain sanity while working with database development and administration tools. You will find regular tips and tricks posted here showing you how to get more and expect more from your experience with the Oracle database. SQL Developer and its related products will be the primary vehicle for getting to your Oracle nirvana. I am a productivity freak. My focus is figuring out how to attack tasks in the least amount of steps, clicks, or keystrokes. I will show you how to save time, and hopefully have a little bit of fun in the process. What the heck is the ‘That’ stuff about? Several years ago I was twittering and hanging out online under a different persona. It wasn’t really personal, and it tied me to something that wasn’t completely ‘me.’ A very smart group of folks, including Andy Grant and Brent Ozar convinced me that I should develop my own brand. In other words, I should make ‘Jeff Smith’ a household name in the database world. Or at least try. ‘Jeff Smith’ is one of the most generic names of all time, at least in English speaking countries. Security folks even joke with me about it being my ‘real name.’ One time while browsing at JC Penny, I looked at a wallet, and the fake ID included was ‘Jeff Smith.’ Awesome. My wife hates it immensely. At least 3 of my co-workers took to calling me that by name – as a sign of respect I am sure – and I’m not in love with it either. But there it is, and here you are. And now you know, the rest of my story.